Jennifer Lawrence has had a friendly crush on her for age. And now the Hunger Games star has proven her affinity for Kris Jenner once again, this time with the purchase of a car. The automobile, which was actually a ride-on toy, showed up in a Saturday Instagram snap from the 62-year-old reality star. 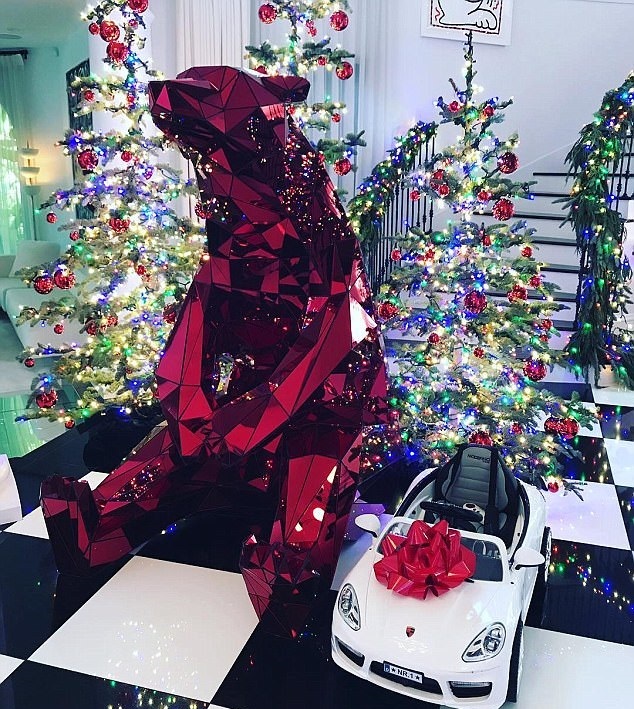 The photo showed the tiny white vehicle sporting a festive crimson bow on the hood, and a parking spot next to her famous, giant metal-and-glass ruby-red polar bear. Of course the room is decorated to perfection with Christmas decorations included innumerable lights and several sizable trees. The momager's caption seemed to perfectly convey her excitement at receiving the gift.